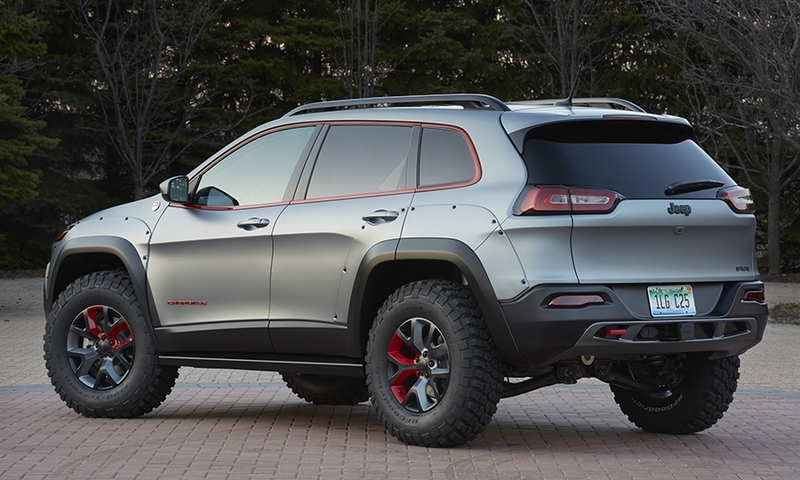 Riding on Mopar's new two-inch lift kit, 35-inch tires and Dana 44 axles, the Level Red features a Rock-Trac transfer case, cold-air intake and low-restriction exhaust system to offer a 73:1 crawl ratio. 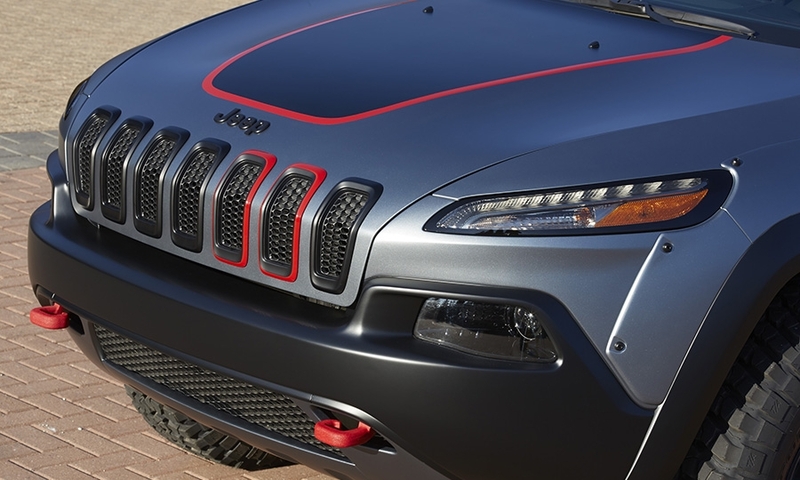 Its black exterior is decorated with a red graphic stripe around the bottom of the windshield and beadlock wheels. 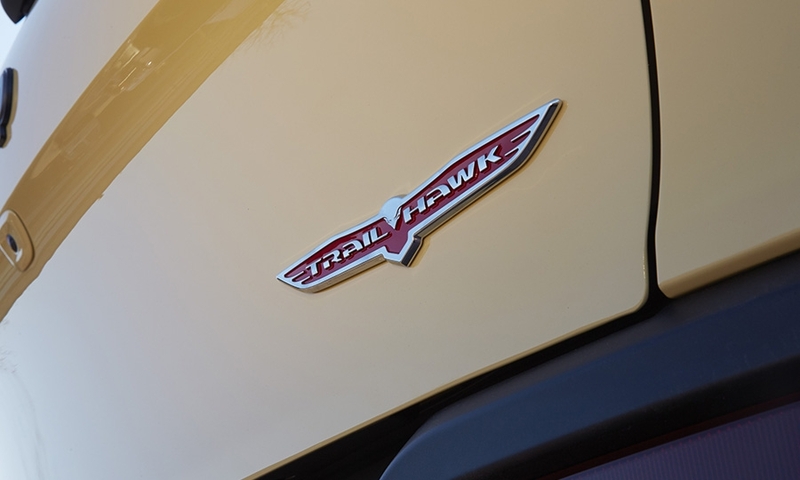 Inside are Tuscany Katzkin leather seats with red stitching and a newly-designed cargo bar on the rear swing gate, along with a lockable storage bin under the seat. 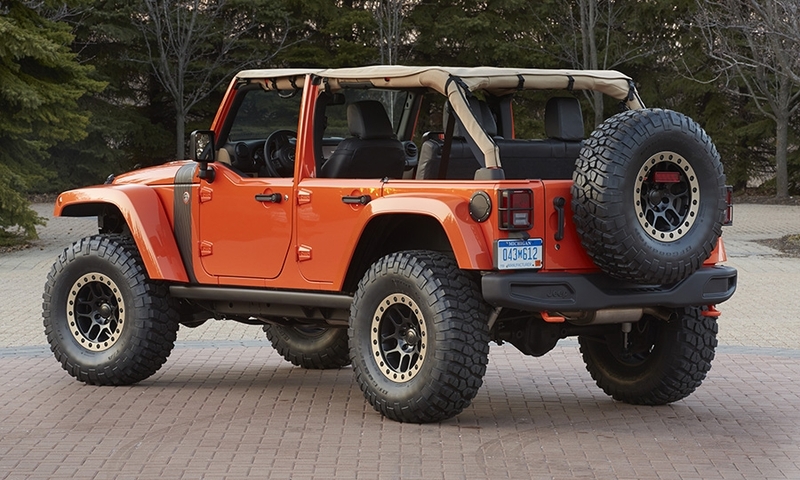 This year's crop of Moab Jeeps mostly features parts either already available from Mopar or intended for production. 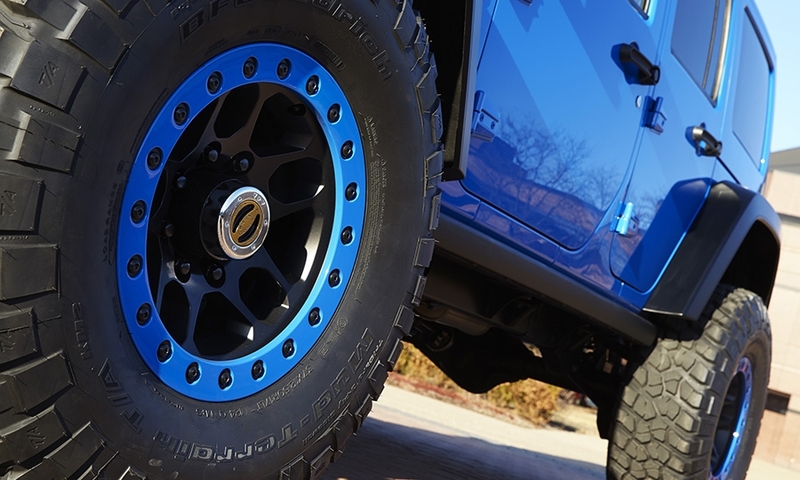 The Maximum Performance features new push-button electric-locking Dana 60 axles both front and rear, as well as a prototype four-inch lift kit over its 37-inch off-road tires. 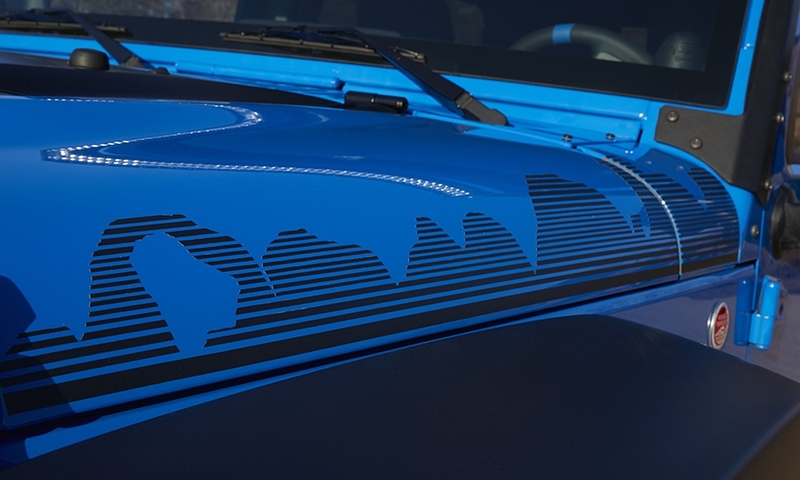 The dark blue four-door Wrangler also features a prototype LED light bar mounted above the windscreen to provide maximum light for nighttime off-roading. 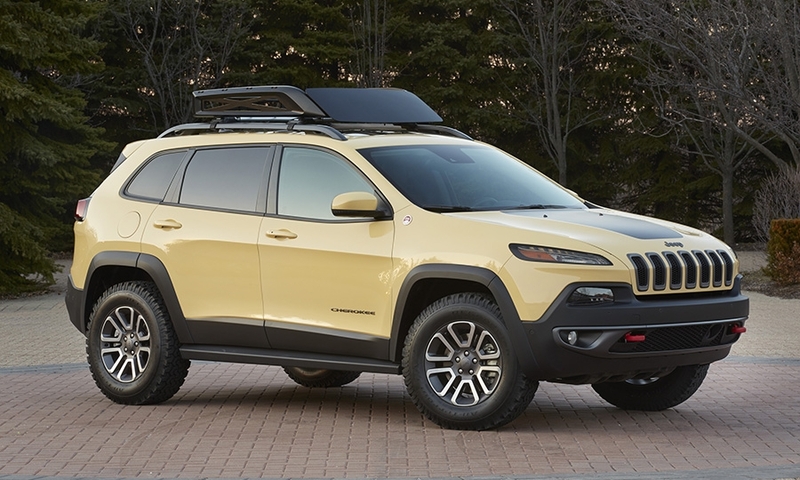 The first of two modified Cherokee Trailhawks, the Adventurer boasts rock rails and a six underbody skid plates to protect the tan-colored SUV as it traverses obstacles. A matte black roof basket is bolted to the roof to improve storage. Inside the cabin, specially-designed bezels match the Adventurer's exterior color. 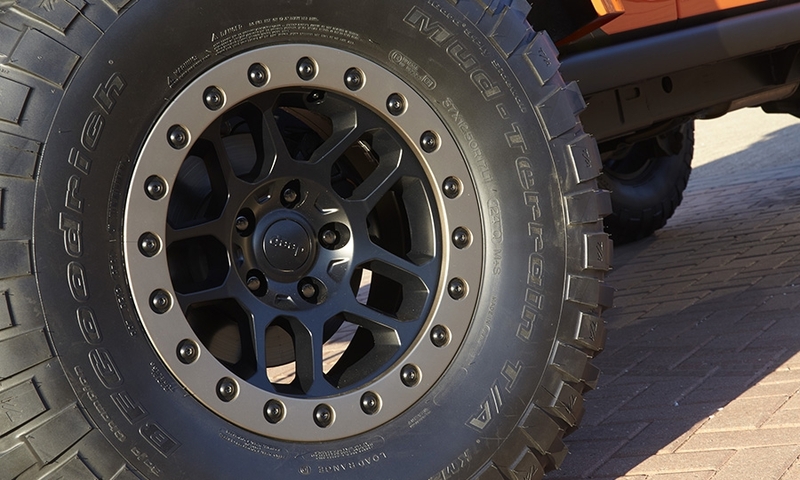 Riding on 33-inch tires mounted in larger wheel well openings, Dakar features prototype front and rear fascias that give it better take off and departure angles. 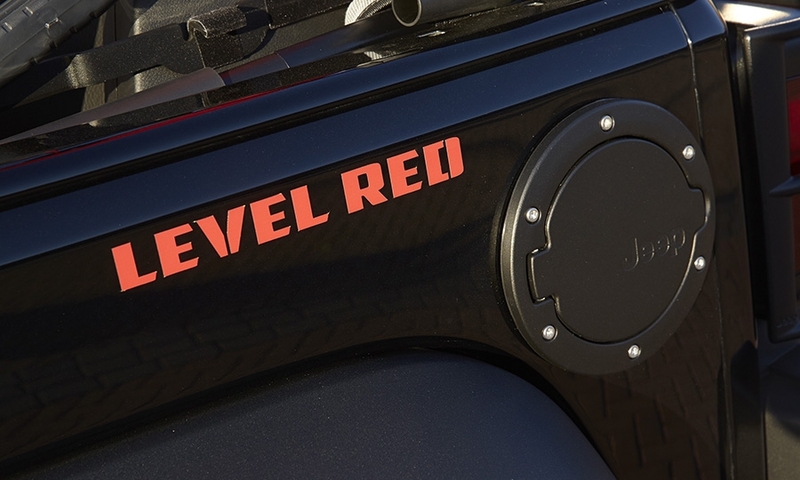 It also features rock rails and skid plates below to maximize protection from trail obstacles. 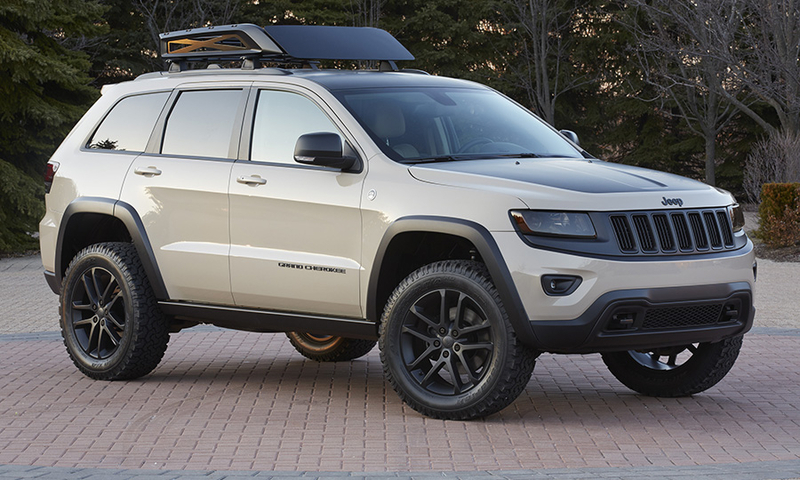 Bolt-on fender flare trim pieces add to the satin gray exterior color to give Dakar a beefier appearance. 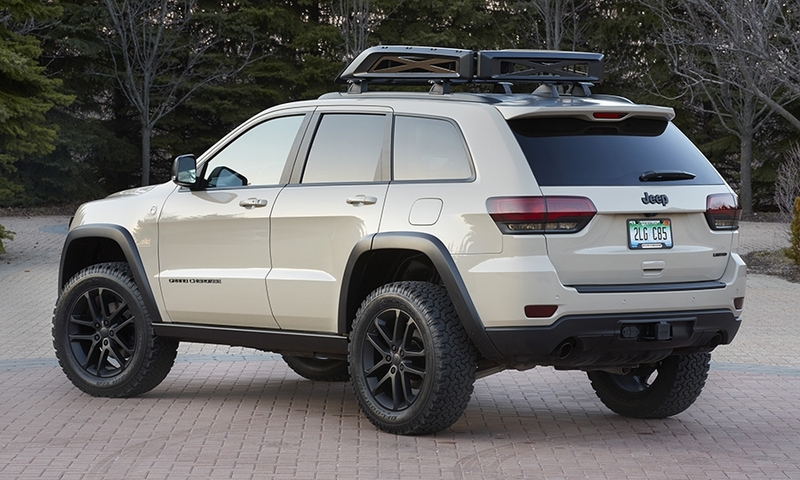 Featuring Chrysler's 3.0-liter EcoDiesel, which went on sale in the Grand Cherokee late last year, the Trail Warrior features a black-and-tan color scheme both inside and out, with satin black 20-inch wheels. 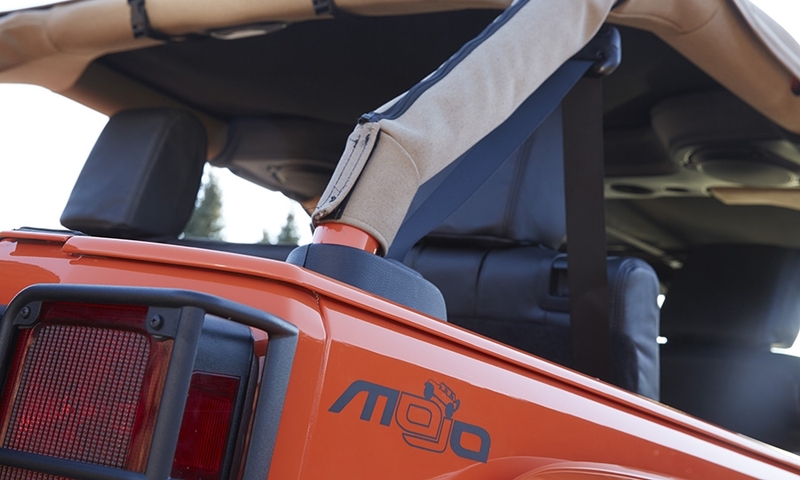 A matte black cargo basket bolts to the SUV's roof rails.